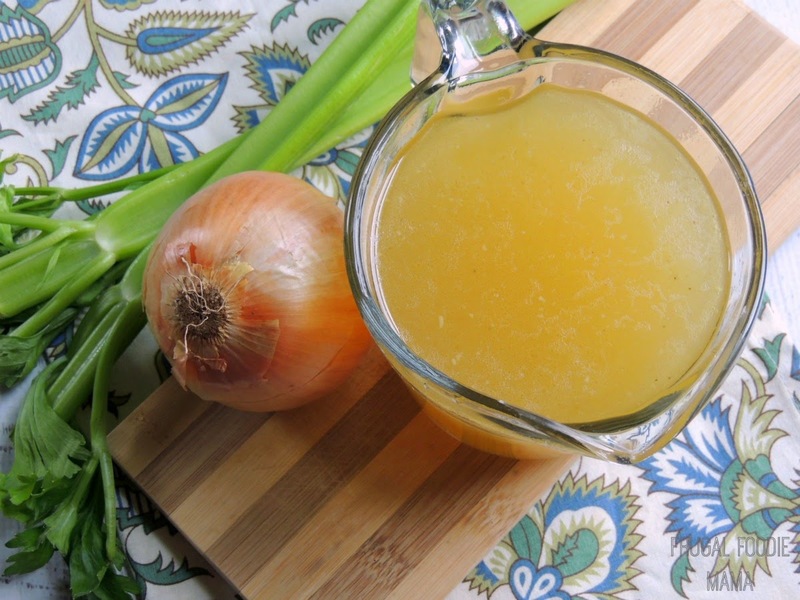 In a large pot or Dutch oven, heat the chicken broth over medium-high heat to a slow boil. (If using a Parmesan cheese rind, add this in now.) Add in the tortellini and cook according to the package directions (allow a few extra minutes of cook time if using frozen). Once the tortellini are cooked and heated through, add in the broccoli florets. Turn down the heat to medium-low heat and just steam until bright green and slightly tender, about 2-3 minutes. Stir in the chicken and tomatoes. If using shredded or grated Parmesan cheese, stir this in now. Season with salt & pepper to taste. Place a handful of fresh baby spinach leaves in each bowl. Evenly ladle out the broth mixture over top of the spinach in each of the 4 bowls. 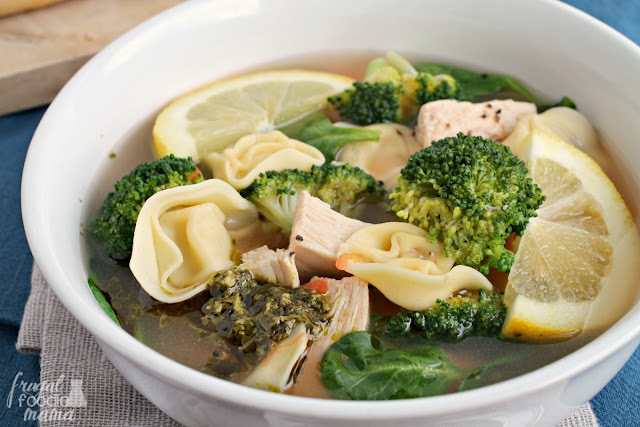 Top each bowl with 1 teaspoon of pesto and 2 lemon slices. 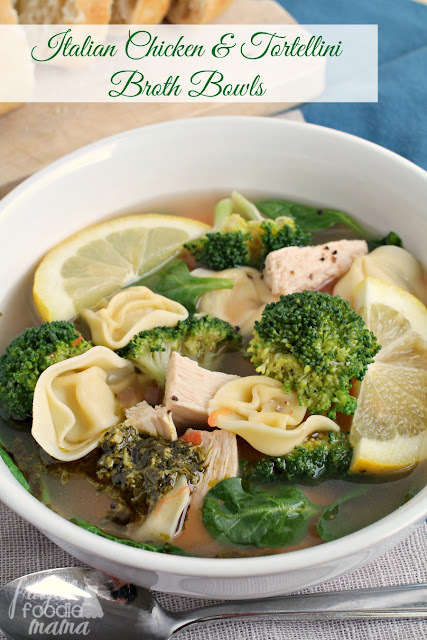 Be sure that everyone stirs the pesto throughout their broth bowls so the basil flavor gets into every bite. 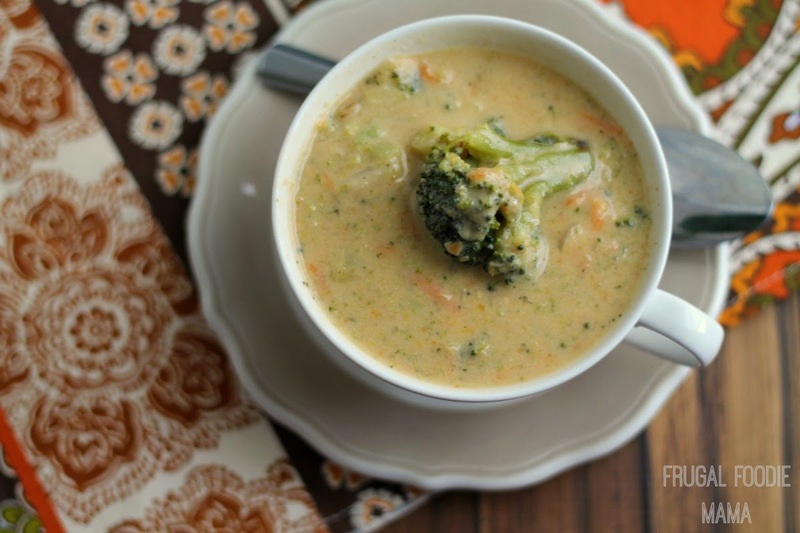 And while I am touting these broth bowls as the ultimate feel better food, they are also an excellent option when you are looking for a healthy, quick, and budget friendly dinner idea for the entire family. 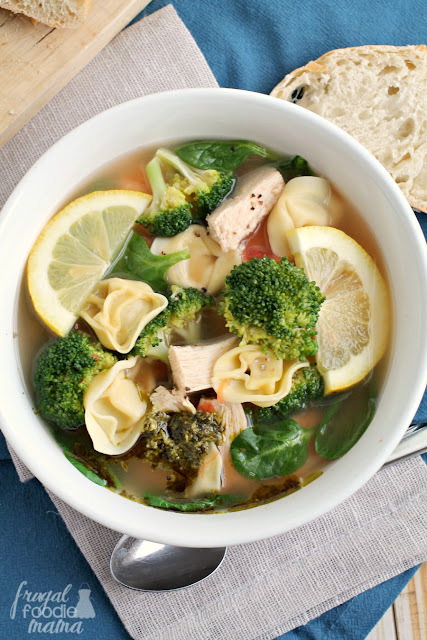 :) Plus, they are super easy to customize to each family members' tastes- just let them build their own bowls and leave out what they don't like and add more of what they do like. 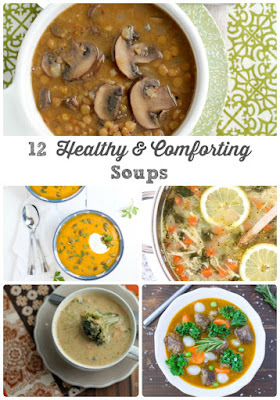 What foods do you crave when you are feeling under the weather? 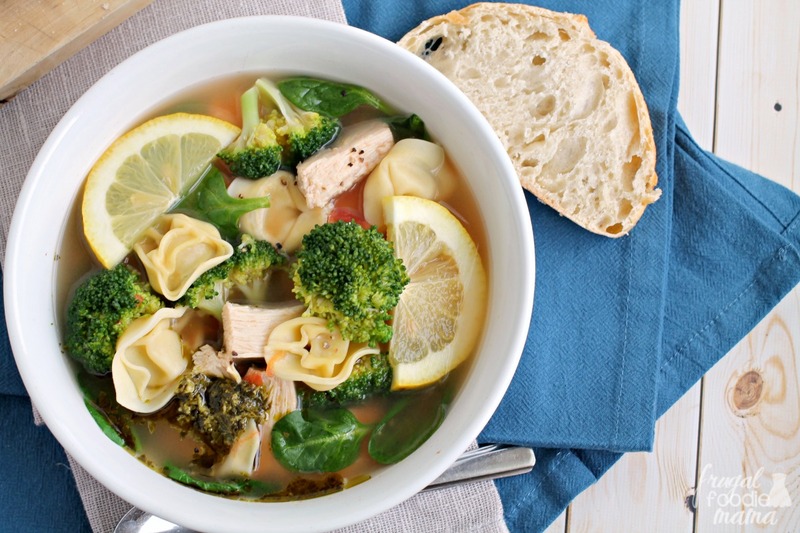 Which of your Panera favorites would like to see a copycat recipe for?